Creme is very sensitive to any moving objects in the house. 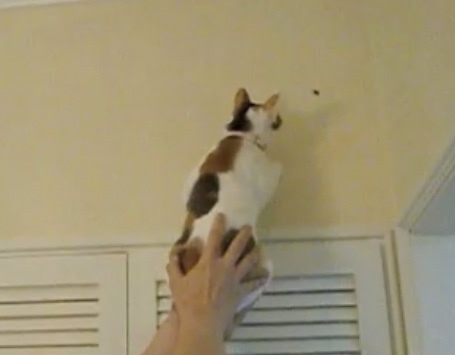 She can't stand the fly, because she sees it but can't reach it. This is when she will keep meowing and meowing to alert us "something is on the wall"! *Do turn on the speaker and help me decipher what Creme is meowing about!